MyVillage™ Scenic Wooden Beams -9pcs (Bag) from the range of model scenic accessories that fully compliments the Lemax village range. 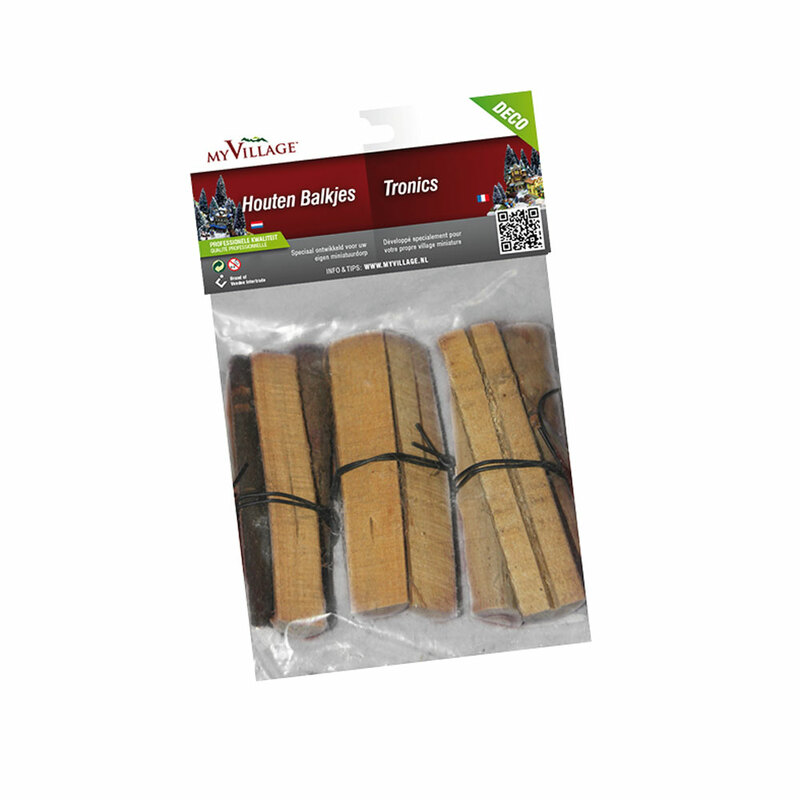 These bagged ready-to-use wood beam pieces are suitable for adding to scenic displays and suitable for permanent fixing with MyVillage™ Sprayglue or other scenic glues. Adds natural realism to your display as either permanent or temporary decoration. MyVillage™ Scatter Materials are also available (separately) in other textures/colour schemes.